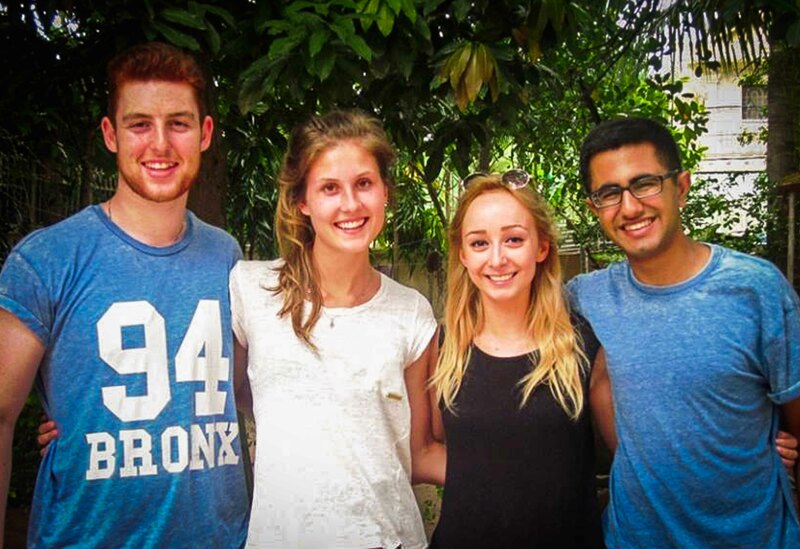 Welcome to our new GF volunteers, Toby, Emma, Verity and Shyam who will be working for NFC for the next six weeks! They are quite ambitious in taking on updating the GF created Phnom Penh University Guide, counseling recent NFC graduates on university and curriculum choices, helping with loan applications, helping to find work opportunities for older students. In addition they will be conducting life skills workshops and teaching English to NFC students as well as students from other NGOs and the local community. Our thanks go to both the Golden Futures Board of Directors, who have consistently sent enthusiastic, qualified volunteers to help the students at NFC, and to our current volunteers who are anxious to get started on the many tasks before them! This entry was posted in Volunteers 2014 by nfccambodia. Bookmark the permalink.